solar power for off-grid and mobile applications. The Go Power! 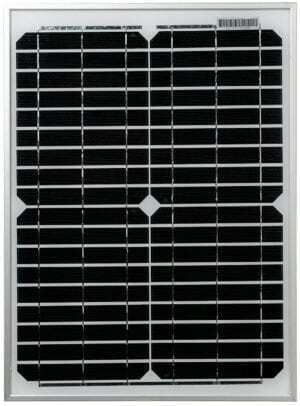 GP-PV-100P Solar Module is built to last and features a 25-year limited power output warranty. To ensure long life, the solar cells are encapsulated between a special tempered, low-iron solar glass and a Tedlar/polyester backing material. The mounting frame, manufactured from anodized marine-grade aluminum, allows the GP-PV-100P to be installed in a wide range of conditions. The CTI-10 Solar Module from Go Power! is a high efficiency polycrystalline solar module that provides outstanding performance and cost-effective solar power for many types of applications. The module is built to last, and features a 25-year limited power output warranty. To ensure long life, the high-efficiency solar cells are encapsulated between a special tempered, low-iron solar glass and a tedlar/polyester backing material. The mounting frame, manufactured from anodized marine grade aluminum, allows the CTI-10 to be installed in extreme conditions. A conduit ready junction box is compatible with a wide range of cable and conduit types. The GP-PV-100M Solar Module is a high-efficiency monocrystalline solar module that provides outstanding performance and cost-effective solar power for high-end off-grid and mobile applications. The Go Power! 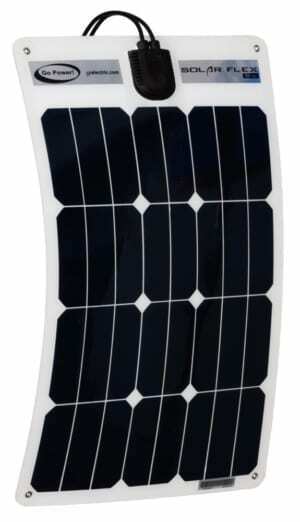 GP-PV-100M Solar Module is built to last, and features a 25-year limited power output warranty. To ensure long life, the high-efficiency solar cells are encapsulated between a special tempered, low-iron solar glass and a Tedlar/polyester backing material. The mounting frame, manufactured from anodized marine-grade aluminum, allows the GP-PV-100M to be installed in extreme conditions. Ideal for RV, Marine, OEM, trailers, 12/24 volt battery systems and other off-grid applications. 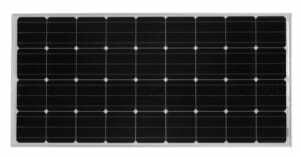 The GP-PV-170M Solar Module from Carmanah is a high-efficiency monocrystalline solar module that provides outstanding performance and cost-effective solar power for high-end off-grid and mobile applications. 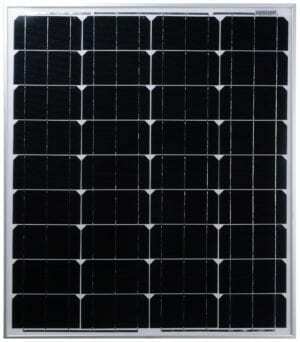 This solar module is built to last and features a 25-year limited power output warranty. To ensure long life, the high-efficiency solar cells are encapsulated between a special tempered, low-iron solar glass and a Tedlar/polyester backing material. The mounting frame, manufactured from anodized marine-grade aluminum, allows the GP-PV-170M to be installed in extreme conditions. 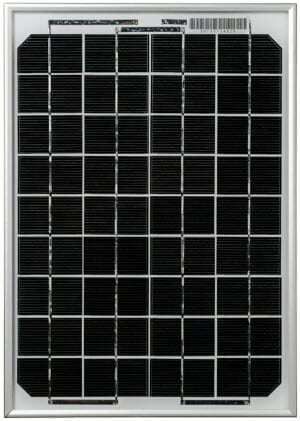 The GP-PV-190M Solar Module from Go Power! is a high-efficiency monocrystalline solar module that provides outstanding performance and cost-effective solar power for high-end off-grid and mobile applications. This solar module is built to last and features a 25-year limited power output warranty. To ensure long life, the high-efficiency solar cells are encapsulated between a special tempered, low-iron solar glass and a Tedlar/polyester backing material. The mounting frame, manufactured from anodized marine-grade aluminum, allows the GP-PV-190M to be installed in extreme conditions. The CTI-20 Solar Module from Go Power! is a high efficiency solar module that provides outstanding performance and cost-effective solar power for residential, commercial and industrial applications. The module is built to last, and features a 10-year limited power output warranty. To ensure long life, the high-efficiency solar cells are encapsulated between a special tempered, low-iron solar glass and a tedlar/polyester backing material. The mounting frame, manufactured from anodized marine grade aluminum, allows the CTI-20 to be installed in extreme conditions. A conduit ready junction box is compatible with a wide range of cable and conduit types. The FLEX-30 Solar Flex Module provides 30W of power in a high-efficiency, monocrystalline thin film solar panel that provides outstanding performance and cost-effective solar power for high-end off-grid and mobile applications. Unlike other “thin” products, Solar Flex uses high-efficiency monocrystalline cells that produce more power per square foot than any other flat panel on the market. The CTI-80 Solar Module from Go Power! is a high efficiency monocrystalline solar module that provides outstanding performance and cost-effective solar power for residential, commercial and industrial applications. The module is built to last and features a 25-year limited power output warranty. To ensure long life, the high-efficiency solar cells are encapsulated between a special tempered, low-iron solar glass and a tedlar/polyester backing material. The mounting frame, manufactured from anodized marine grade aluminum, allows the CTI-80 to be installed in extreme conditions. A conduit ready junction box is compatible with a wide range of cable and conduit types.